Trinity Jewellery … Necklaces, Bracelets, Earrings and much more! Jewellery is a must have accessory to complete any outfit and Trinity Jewellery has it all from simple, elegant pieces to bold, stand out from the crowd statement pieces. Dare to be different and wear Trinity Jewellery! 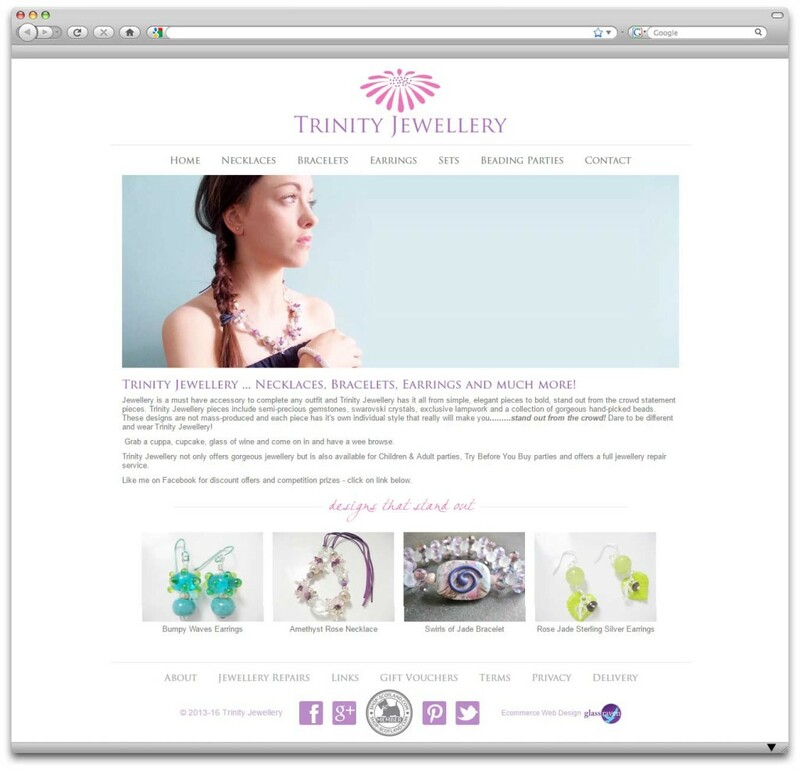 We have been working with Trinity Jewellery for a number of years, so when their previous osCommerce website came to its end-of-life due to outdated technologies we were happy to provide a complete design update (to both website and branding) and upgrade to our gCart ecommerce solution. The website showcases the hand crafted jewellery pieces and also promotes the new beading parties that they run within the local area.